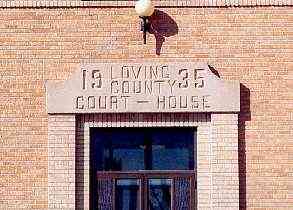 Loving County courthouse, Mentone Texas. 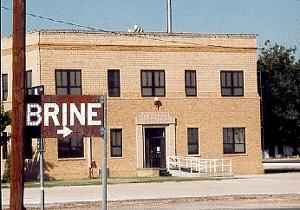 Don't forget to pick up some famous Mentone Brine. 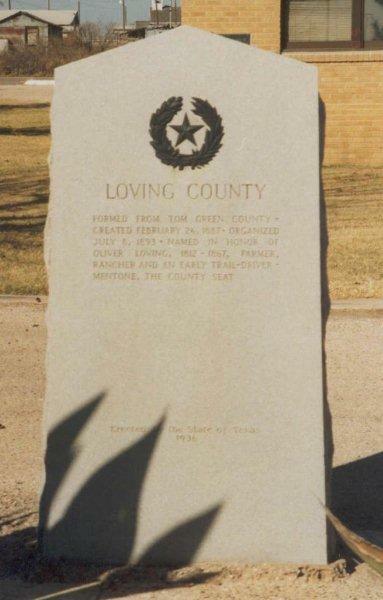 Mentone also has the distinction of being the only county in Texas that was incorporated twice. 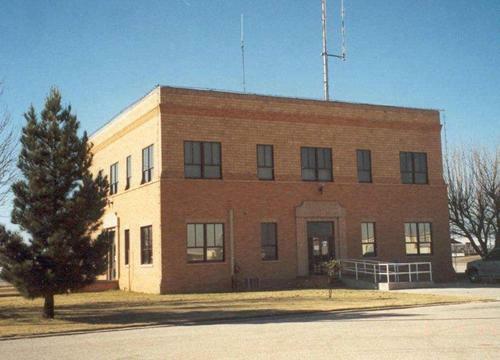 It seems that they got behind in their taxes back a long time ago and Winkler County held the deeds to the 6 or 8 ranches until things were put straight. Mentone turns down government money they would get from revenue sharing (but they're nice about it). My parents and I moved to Mentone around 1945 and left in 1959. I started school in Mentone in 1947 at the age of five. 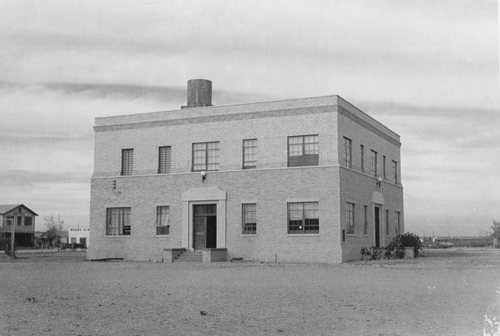 At that time, the population of Mentone was around 150. My father was a pumper for Gulf Oil and we lived about a mile from town. 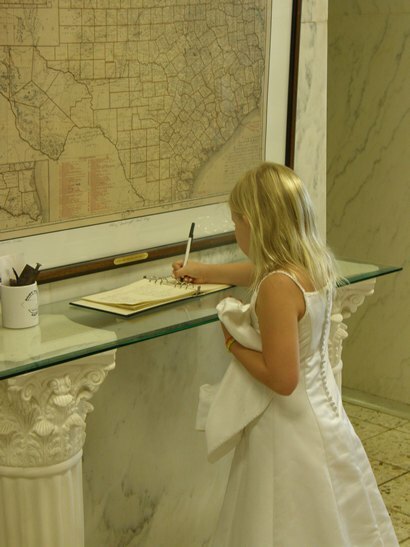 One of my girlfriend's daddy was the sheriff and we spent a lot of time playing in the courthouse. 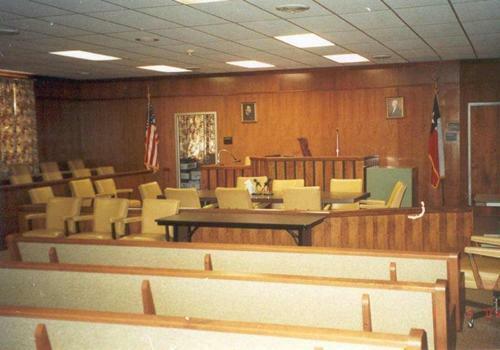 On the second floor of the courthouse was a large room where County Commissioners met each month and where the County Judge listened to legal cases. As kids, we decided and acted out our roles for the day. The "Judge" sat in the big chair behind the bench and would swear in the "accused and witnesses" (with their hand on the bible). The "lawyer" would ask questions. After deciding the accused's guilt (very seldom was anyone found innocent), the judge banged the gavel and sentenced the guilty child to time in jail. There was one small cell with 2 bunk beds. We'd all go in there and sit and the jailer (the sheriff's wife or some other mother) would bring in sandwiches and drinks and we'd have a picnic. Afterwards, we could all slide down the wood bannister to the first floor and go home.